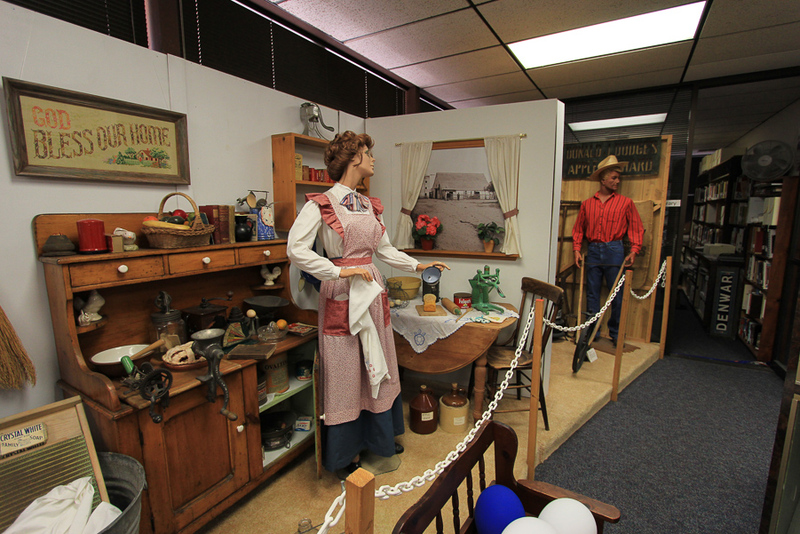 February 23, 2017 - Today we drove down to Costa Mesa to visit the Costa Mesa Historical Society Museum. 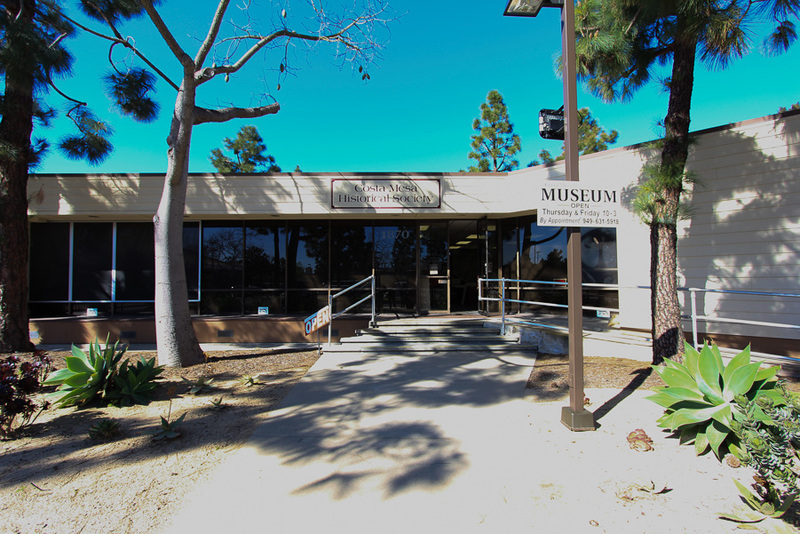 The Costa Mesa Historical Society was formed in 1966 as a support group for the newly restored Diego Sepulveda Adobe, which is located nearby but, it only has limited hours for tours. 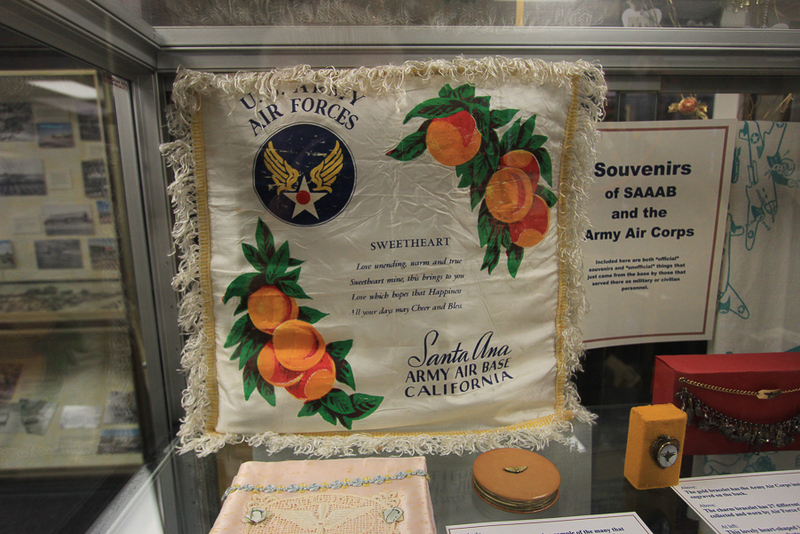 In 1979 the Society organized a SAAAB Wing to include those who played a part in the activities of the Santa Ana Army Air Base during World War II. 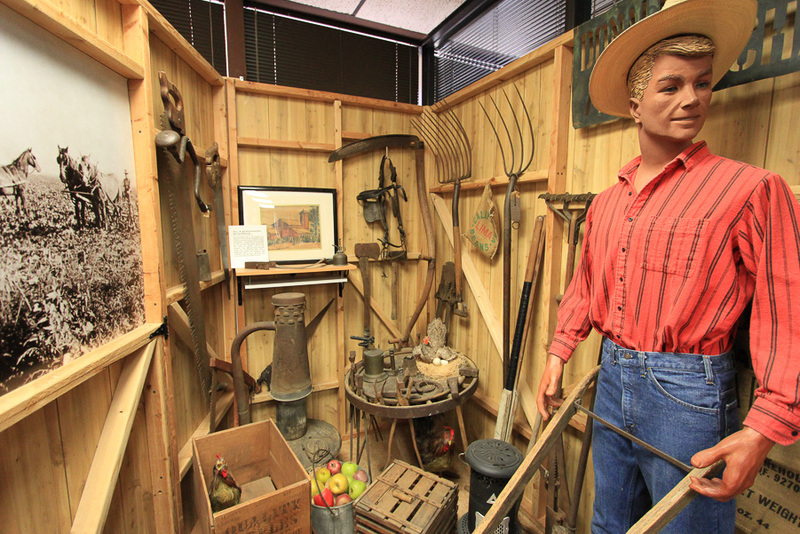 The Society holds a collection of 70,000 items ranging in age from prehistoric through current times. 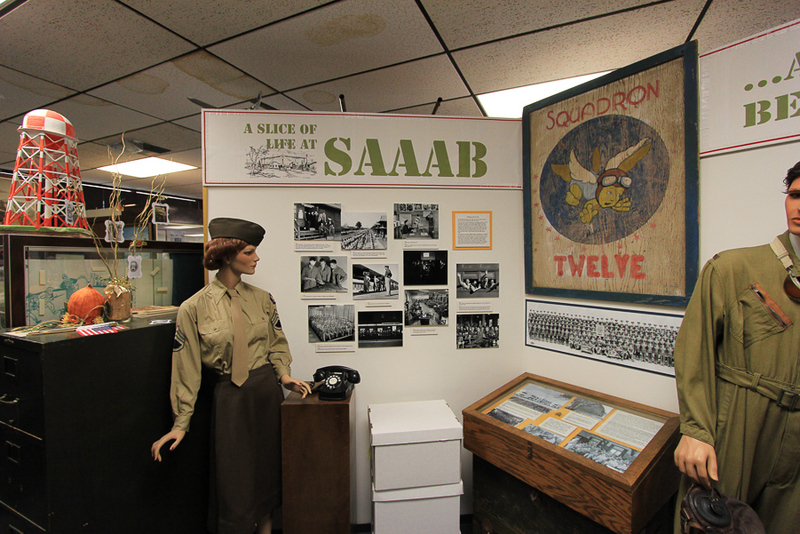 Although it's a very small museum, there were several exhibits of interest. 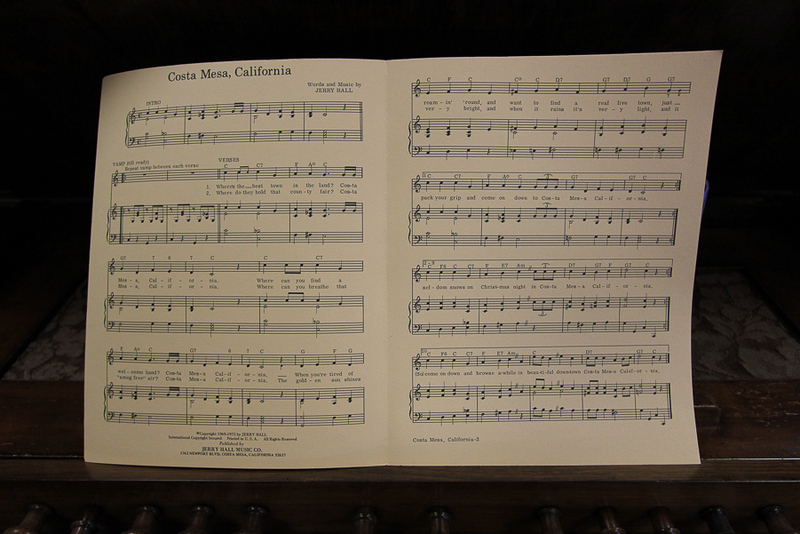 Costa Mesa has its own song. This poster from 1968 was very interesting. The attendance at the "Newport Pop Festival" concert was over 100,000 people, which made it the biggest rock concert in American history, as of that date. Of course it was eclipsed by Woodstock one year later. 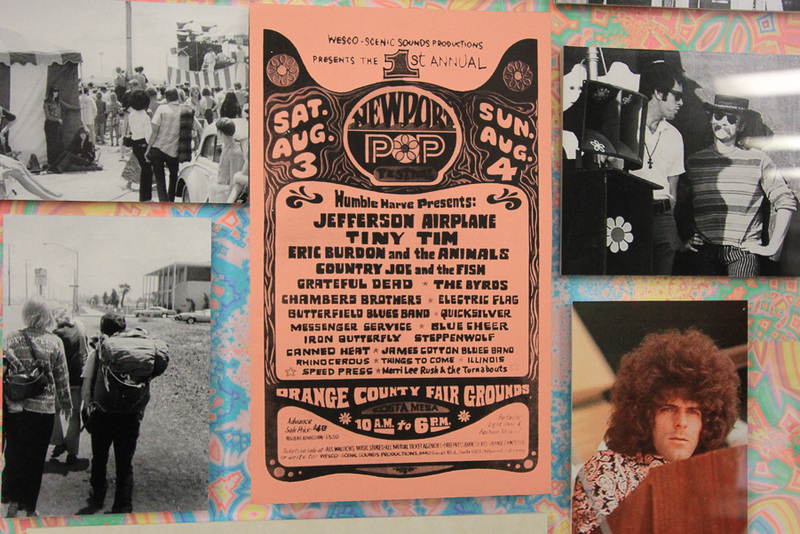 It's also curious that Tiny Tim received second billing after the headliner Jefferson Airplane. Humble Harve had quite a lineup for two days with a lot of bands that could have preceded Tiny Tim's billing. 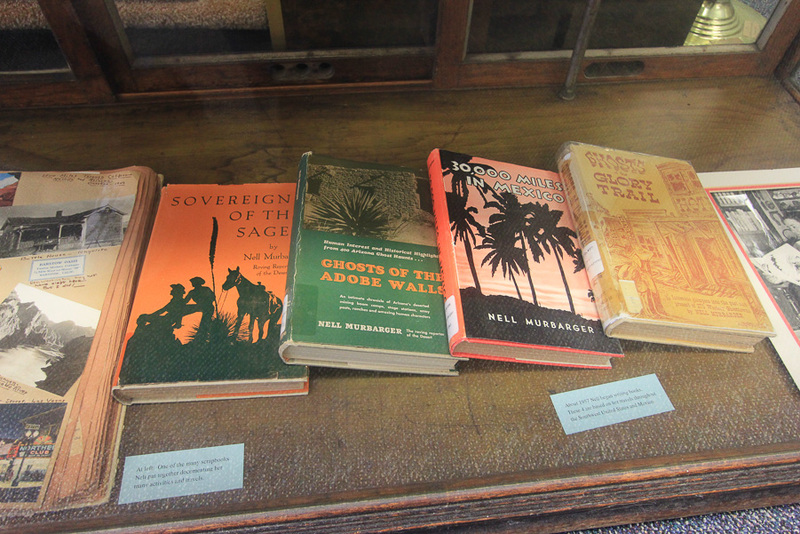 We also learned about Nell Murbarger while we were there. Nell Murbarger (1909-1991) was born in South Dakota and home-schooled through the eighth grade. An outdoorswoman, she enjoyed riding horses, camping, photography, exploring the western United States, and world travel. She married Wilbur G. Murbarger in 1931 and divorced in 1939. She worked for several western newspapers, including the Los Angeles Examiner and the Salt Lake Tribune. She was editor for the Costa Mesa Globe Herald from 1936-39 and for the Newport-Balboa Press from 1940-45. She became a full time freelance writer in 1945, writing several books and approximately 1,000 magazine articles on every conceivable desert subject. 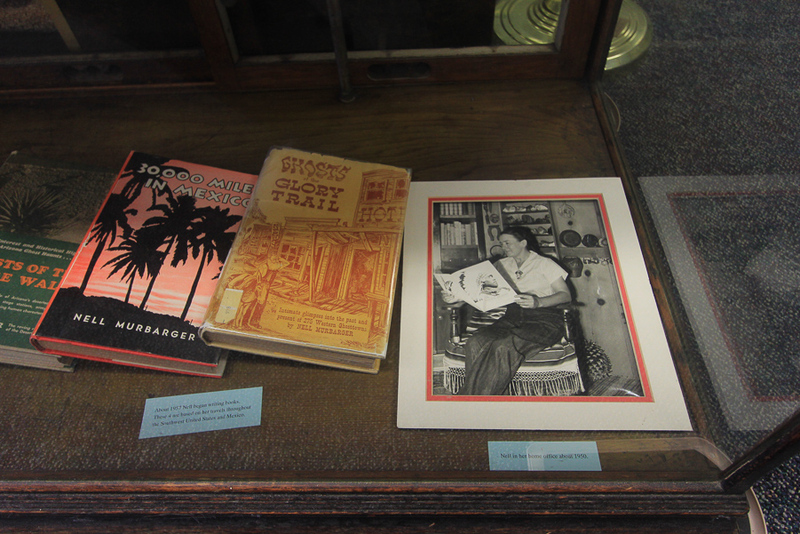 Her feature stories in Desert Magazine and other periodicals popularized the hobby of "ghost-towning." 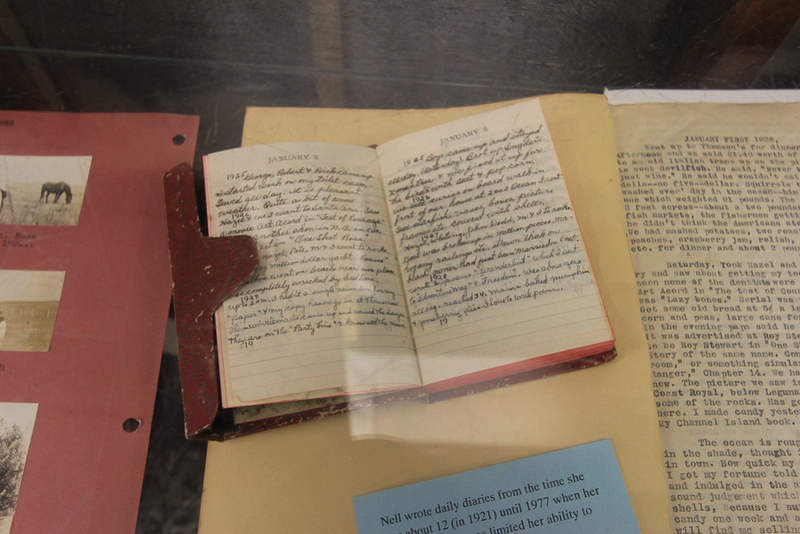 Nell wrote daily diaries from when she was just 12 years old until the onset of Parkinson's disease at age 68. 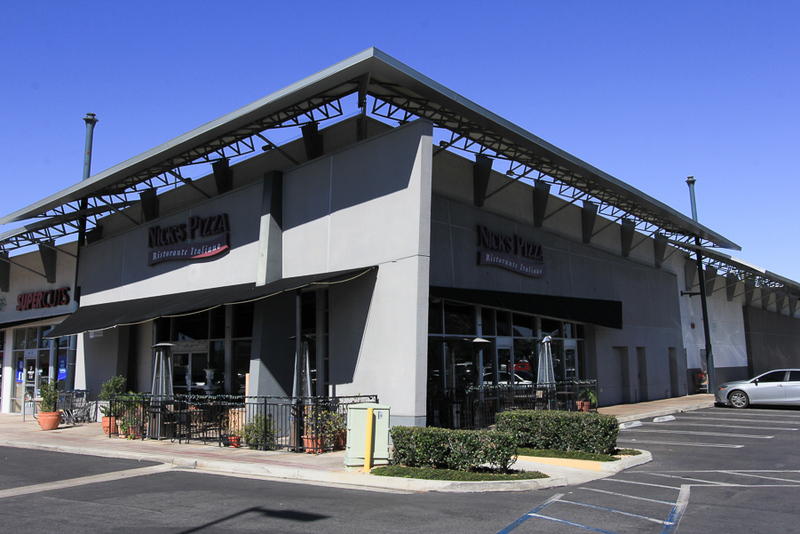 After the museum we went to Nick's Pizza Ristorante Italiano for lunch. It was a new place for us and I was luckier than Judy. I had their Linguini with Clams, with fresh clams, parsley, garlic and white wine and it was very good. However, Judy had their Rigatoni Gorgonzola, which has a creamy gorgonzola cheese sauce with sun dried tomatoes and basil. But her sauce didn't have enough gorgonzola and too much cream, so it was disappointing. You can't always win on these adventures.